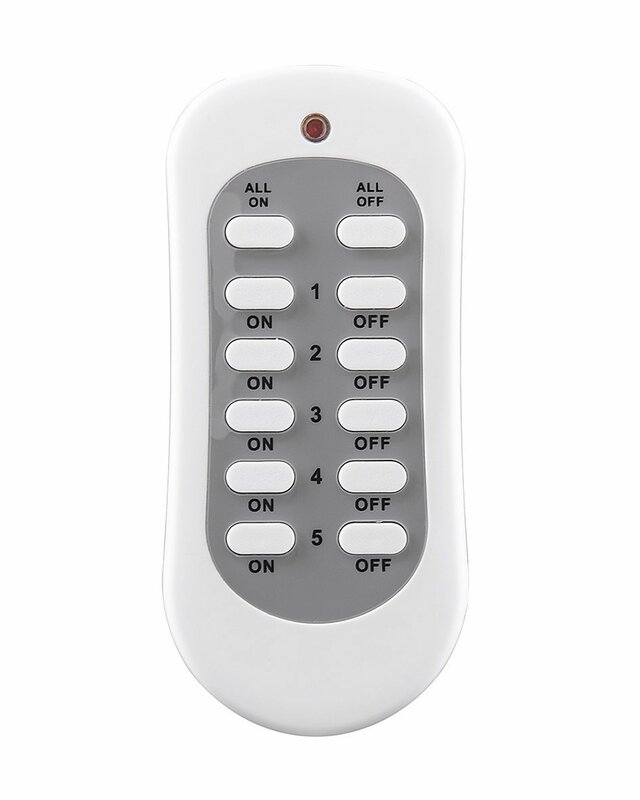 Home › Ivation Individual Programmable Wireless Remote Control ***For The 2016 Versi..
Ivation Individual Programmable Wireless Remote Control ***For The 2016 Versi..
Add as many remote controls to your Ivation 110V AC Plug in Outlet Switch Socket. Completely programmable, will work with as many sockets as you wish. Works through walls with an expanded 90-foot range!!! Separate ON & OFF buttons for each socket. Also Includes "ALL ON" & "ALL OFF" button to turn on or off all five sockets at once. Programmable: Lets "YOU" decide which button switch to select for which outlet or "YOU" can program many outlets to work on one button switch. Extremely Simple One Touch Programming.